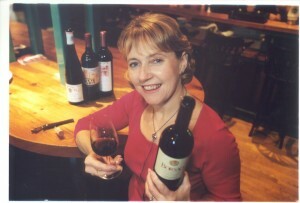 Jane Boyce MW, a Master of Wine and an independent Wine Consultant and freelance wine writer will feature as the guest speaker at the Tipperary Food Producers Christmas Cookery Extravaganza in association with Bord Bia, which will take place at The Clonmel Park Hotel on November 10, 2010. Jane has twenty eight years experience in the Wine trade and in 2000; she became Ireland’s first female Master of Wine and is currently one of only four people in Ireland to hold the qualification. Tipperary Food Producer member Gary Gubbins of Red Nose Wine met Jane on a recent wine trip to Italy, and was delighted to be able to convince her to travel to Tipperary for the event. As Gary himself says, “A Master of Wine is a very rare achievement and we are delighted to have Jane on board to match the very artisan foods of Tipperary with the wines that will show them at their best”. Her experience as a wine judge is wide ranging. She has been key judge and adjudicator for the Irish Wine Show for the past two years and last year was on the Burgundy and Austrian panels for London’s The Decanter World Wine Awards. Her international judging experience spans the globe including South Africa, France and as far away as Australia. This event is organised by the Tipperary Food Producers Network to showcase the very best of their local produce and encourage local awareness and support during the festive season. The evening will commence at 7.15pm with Refreshments, wine and a canapé reception and only food produced by the Tipperary Food Producers will be served. Guests will be served by their local food producers and are in for a treat with an evening of fantastic cooking tips for Christmas by Bord Bia Chef Sheila Kelly assisted by Sarah Baker, Cloughjorden Cookery School and Pat Whelan of James Whelan Butchers. The evening will create an opportunity to taste all the magnificent local food as all of the producers have come together to combine their products and form a truly outstanding range of stylish canapés. To compliment this, each producer will showcase their goods at one of many food stands, forming an avenue of local food to welcome you to this very special evening. All of the food that will be prepared during the cookery demonstration and on the canapé menu will be seasonal produce from over 30 of the food producers – all members of the Tipperary Food Producers Network combining the very best artisan food from throughout the county resulting in an exceptional array of tastes. 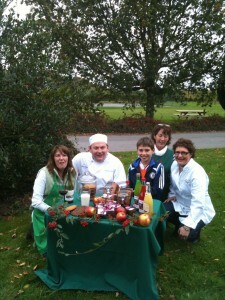 For further information on the Tipperary Food Producers Christmas Cookery Extravaganza and for tickets (€15) which are available from the Tipperary Food Producers, for a full list of members log on to www.tipperaryfoodproducers.com . This entry was posted on Thursday, October 14th, 2010 at 6:48 pm	and is filed under Uncategorized. You can follow any responses to this entry through the RSS 2.0 feed.